The price of OPEC basket of thirteen crudes stood at $43.84 a barrel on Thursday, compared with $44.88 the previous day, according to OPEC Secretariat calculations. Meanwhile, Reuters reports that oil prices rose on Friday as turmoil in Nigeria, shale bankruptcies in the United States and a crisis in Venezuela all contributed to tightening supplies. However, brimming inventories across the world were preventing supply shortfalls as well as sharper price spikes, traders said. International Brent crude futures LCOc1 were trading at $49.02 per barrel at 0653 GMT (0153 EDT), up 21 cents or 0.43 percent from their last settlement. 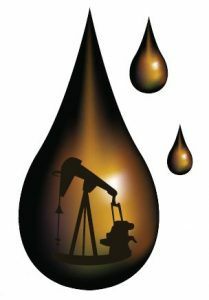 U.S. West Texas Intermediate (WTI) crude futures CLc1 was up 29 cents, or 0.6 percent, at $48.45 a barrel. “The supply disruptions inflicting the oil market continue to ratchet up… As these issues linger, we expect an increasing supply risk premium will price into the market,” the bank said. Nigeria’s oil production showed further signs of strain on Thursday as intruders blocked access to Exxon Mobil’s (XOM.N) terminal exporting Qua Iboe, the country’s largest crude stream. “Loading schedules have been interrupted at three of the five primary export terminals in Nigeria due to sabotage, with a fourth (Qua Iboe) interrupted by an operational incident; we estimate over 450,000 bpd is affected,” U.S. investment bank Jefferies said. This means that the militant activity has cut Nigeria’s oil output to a more than 22-year low of under 1.4 million bpd. Venezuelan crude oil output fell to around 2.53 million bpd in the first-quarter of 2016 compared with 2.72 million bpd in the same quarter of last year, data from the Organisation of the Petroleum Exporting Countries (OPEC) showed. Despite the disruptions oil supplies to customers are not at risk, thanks to ongoing high output in the Middle East and Russia, and because of high oil inventories across the world, including the United States and Asia.